the Concept Stadium, the boutique marketing consultancy firm, has been appointed as the official marketing partner of the JCI European Conference 2014.
the Concept Stadium is a boutique and personalized marketing strategy consulting firm, offering its services to companies and organisations that wish to implement an integrated marketing approach. The Stadium’s service portfolio includes Branding, Design, Web & Social Media, PR & CSR, Events and Marketing Strategy. The JCI European Conference will be held in Malta between the 11th and the 14th June 2014, and will bring together over 2000 delegates to Malta for four days as part of the 2014 international JCI calendar. “We are very pleased to be assisting JCI Malta with their marketing needs, giving the organization an integrated marketing approach particularly in view of their endeavours to host a memorable conference next year. We also see this as part of our Corporate Social Responsibility efforts in assisting value-added organisations with our consulting time. 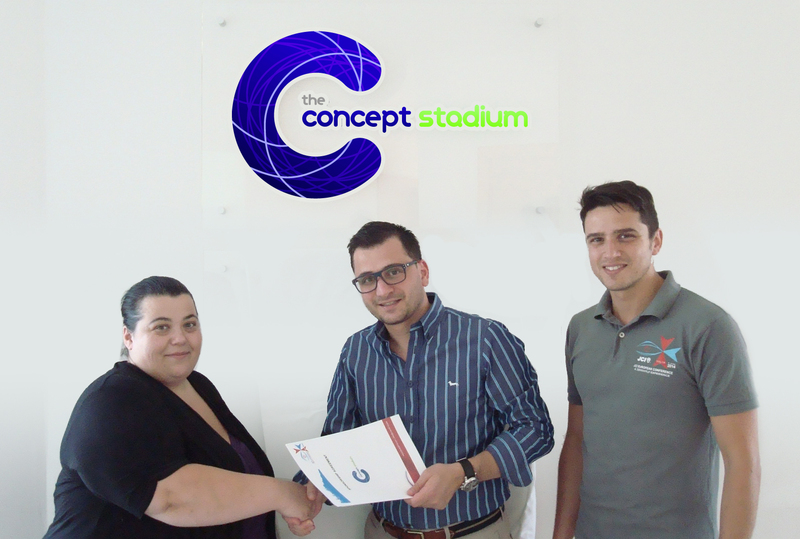 On a personal level, I have been a member of JCI Malta for a number of years and this is testimonial to the value-added such organization brings to the young businessman’s table” noted Jonathan Dalli, Founder & Managing Director at the Concept Stadium. “We are very excited to collaborate with the Concept Stadium. I am sure that with their proven track record and invaluable experience, our message will go far and wide. A conference of such magnitude will definitely create a positive impact to the local businesses and the community alike” concluded Charlotte Gregory, JCI Malta – European Conference 2014 Director.